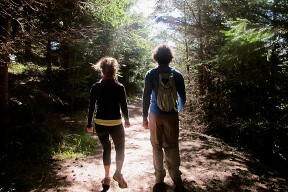 Overheard is our series of snippets/conversations that we have with other travelers and/or locals along the way. 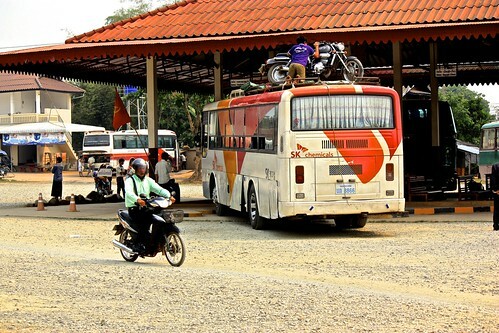 One thing you notice when you take buses in Laos, or really any SE Asian country, is that they tend to pick people up every five feet. With few marked stops, passengers just wave the bus down or tell it when to stop. It's not a big deal if they just jump off, but typically they have a few hundred bags of chickens, watermelons, and rice to take with them. Walking signifies you're poor, so even if they have nothing to carry, they'll wait until the bus is right outside their house to get out—even if it stopped for 20 minutes a few feet away. Buses are also the shipping method of choice. It's not uncommon to see locals give the driver a bit of money to deliver packages somewhere along his route. Somehow it always works out and, hours later, at some random shack, there's another person waiting to accept the chickens, watermelon, and rice—or a motorbike. It's same-day delivery for a fraction of the cost, though you have to be comfortable without a tracking number! Interested in reading more about backpacking in Laos? Check our our Laos destination pages. What was the strangest thing you've seen while on a bus in Asia? Let us know in the comments.